Why teachers quit is a recurring theme on this blog. Teachers all over the country are tired and frustrated by the destruction of their profession. It might sound paranoid to say that the destruction of the teaching profession is a purposeful plan by privatizers and transformers*, but it doesn’t really matter if the result is the same. Fewer students are going into teaching. Veteran teachers are retiring for the wrong reasons. There are more and more inexperienced and poorly trained teachers in our nation’s classrooms, especially classrooms containing low income students. Morale is low. The constant refrain of “failing schools,” “bad teachers,” coupled with state budget cuts (or budget redistribution to charter schools or vouchers), have made a career in education much less desirable. 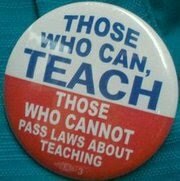 “Reformers” harp about bad teachers and claim that we need “great” teachers in every classroom. That claim, however, is denied by the actions of legislatures which do everything they can to turn the profession into a job for script reading babysitters. The result is that fewer students are looking at teaching as a future life-long career. All across the state, at public and private institutions, the number of students enrolled in education programs has plummeted. Nowhere is this more apparent than at the state-owned universities such as Kutztown and East Stroudsburg, which were founded in the 19th century to train teachers for Pennsylvania schools. Deans and administrators at six local colleges reported a drop in undergraduate education majors this fall. The numbers vary from slight to significant. At IPFW, for example, the number went from 1,020 education majors last fall to 822 this fall – a 19 percent drop. At Huntington University, the number went from to 188 to 178 – a 5 percent decline. Even Ball State University’s Teachers College, a nationally ranked program, saw its undergraduate enrollment drop from 1,491 last year to 1,368 this year. At the same time, Ball State and other Indiana colleges are seeing an increase in graduate education programs, as students rush to get advanced degrees before legislative changes take effect limiting the pay and benefits long associated with further education. …working conditions for teachers continue to deteriorate. The latest national survey by MetLife found that teacher satisfaction levels have plummeted, perhaps not coincidentally at about the same rate as enrollments in teacher education programs in California. In 2008, 62 percent of teachers expressed satisfaction with their jobs, the highest level since 1984. By 2012, only 39 percent said they were satisfied – about the same level as in 1984. “If I can help just one kid figure out the right bubble to fill in on his test, I will feel like I’ve made the world a better place,” said no young person ever. The inspiring, exciting image of teaching– the independence, the intellectual searching, the firing of imaginations, the sparking of young minds, the nurturing of fragile young souls, the passing on of vibrant living knowledge, the participation in the miracle of growth, the guiding on a path to being fully human– all those things that fired us up about teaching– we got that bug from our own teachers and our own school experience. But far more of today’s young people associate school with the drudgery of clerical work, the autonomy of assembly line workers. Those teachers who are staying…or just starting out…are discovering that tests and so-called “accountability” rule the classroom. There is little room for teacher or student creativity. Teachers are rarely allowed to use their expertise to make decisions based on students’ needs. The school day is taken up with data collection and the constant threat of misused standardized tests. Kindergarten teacher: My job is now about tests and data — not children. I quit. In this disturbing era of testing and data collection in the public schools, I have seen my career transformed into a job that no longer fits my understanding of how children learn and what a teacher ought to do in the classroom to build a healthy, safe, developmentally appropriate environment for learning for each of our children. Realize who the experts are. Our educators are our experts, having the hours of experience that leads to credibility and depth of knowledge. Be leery of self proclaimed experts and reformers who can talk the talk, but don’t have the experience, knowledge or credibility because they have never walked the walk. “When I started teaching, the worst thing a teacher could do is teach to the test. Now, all we are doing is teaching to the test. From the first day of school to the final exam, that’s all we are doing,” Maggiano told the paper. Maggiano told the outlet that he would rather retire than be part of the education system as it stands. “I don’t think I’m leaving the education system. I think the education system left me,” Maggiano added. …no one ever asks the teachers, those who are up to their necks in the trenches each day, or if they do, it is in a patronizing way and our suggestions are readily discarded. Decisions about classrooms should be made in classrooms. Teachers are the most qualified individuals to determine what is needed for their own students. Each classroom is different. It has a different chemistry, different dynamic, different demographic, and the teacher is the one who keeps the balance. He or she knows each student, knows what they need, and they should be the ones making the decisions about how to best reach them. Sure, using different resources and strategies among schools may make data sharing more difficult, but haven’t we gone far enough with data? Each child is not a number or a data point. They can only be compared to the developmental capabilities set forth by medicine, not education, and to their own previous progress. In addition, teachers cannot and should not be evaluated on the grades of their students. Who then would try to teach the boy who will never progress past third grade due to a brain injury? Who then will teach the girl that refuses to complete any work? Who then would teach any special education classes? What stops me from skewing my grades to keep the world off my back? 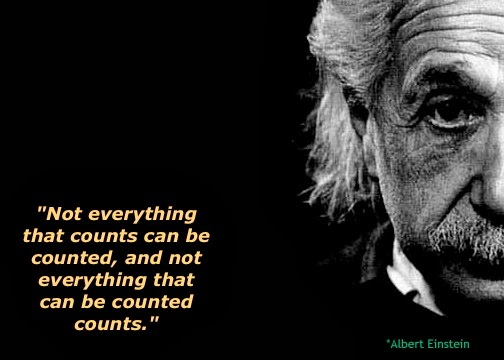 Education cannot be objectively measured. It never could, and our problems began when we came to that realization and instead of embracing it, decided to force it into a quantifiable box that is much too small and too much the wrong shape. I have found it more and more difficult to pay my bills every month and continue to fall further and further into debt, not to mention the feeling of absolute disrespect that I feel every time a new “expectation” is mandated for our classrooms while all of our resources are being taken away. Politicians and policy makers, most of whom have never set foot in a classroom as an educator, are passing laws and instituting regulations for every aspect of teaching. Never before have so many unqualified policy makers regulated a profession. Never before have so many experts been left out of the decision making process. The reason is simple — money. Test publishers, private school entrepreneurs, charter management organizations, and voucher proponents are buying legislators’ votes. The voices of public school teachers aren’t heard because they aren’t accompanied by enough dollars. Bill Gates, a billionaire college dropout with no experience in public education, has a huge influence on public education policy. 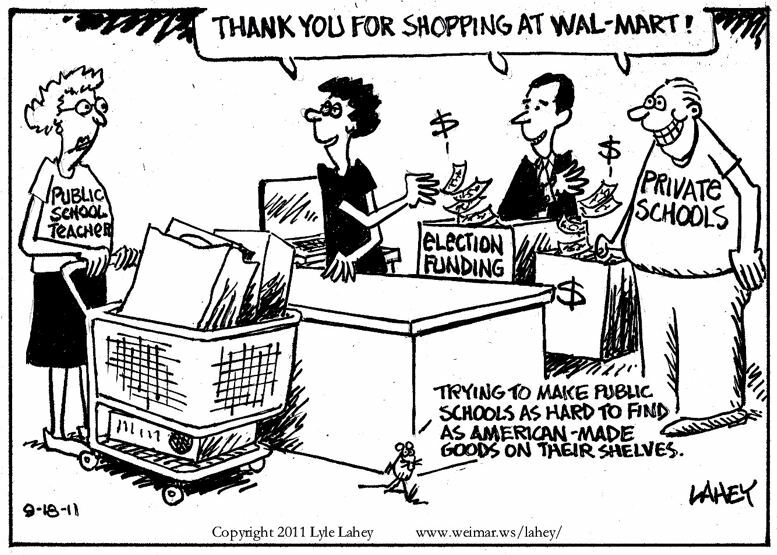 The Walton Family, billionaires with no experience in public education are paying legislators (through their donations) to divert public funds to voucher programs. 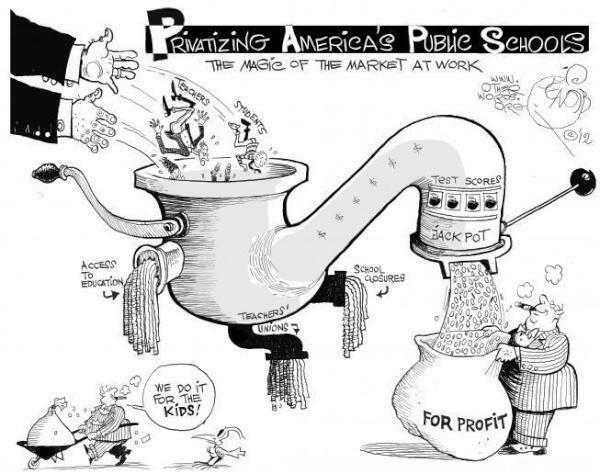 Eli Broad, the Joyce Foundation, Mark Zukerberg (Facebook), Reed Hastings (Netflix), Jeff Bezos (Amazon), and dozens of other deep pocketed individuals and foundations are pouring money into privatization schemes and killing public education. Why would the Democratic Party, so well supported by teachers in the past, promote Race to the Top, a plan dividing the nation’s school children into winners and losers, and promoted by a man who, while sitting in the chair of the nation’s highest ranking educator, has absolutely no experience teaching in (or attending) a public school? Money. Indiana’s legislators — attorneys, auctioneers and florists — support policies completely at odds with the state’s Superintendent of Public Instruction who won her election with more votes than the governor. Follow the money (see also here and here). Will America’s professional teaching force be replaced with 2 to 3 year temps? At some point, even Louisiana has to worry how they will replace the teachers who have retired and resigned. And who will want to become a teacher when working conditions are so poor and teachers are treated so poorly by the state education department. Teacher turnover last year was the second highest in a decade. There are more early retirements. Teacher training enrollments in the state’s university system are down 7 percent. No surprise. After all, legislators killed a program to recruit top students for teacher jobs through scholarships. A modest form of tenure is being phased out. A master’s degree no longer will be rewarded with higher pay. And there’s North Carolina’s disgraceful 46th-place ranking in average teacher pay. That’s lower than the neighboring states of Virginia, Tennessee and South Carolina. School districts around Indiana have already begun linking teacher ratings to how students perform on state standardized tests or other student growth measures. Starting in the 2013-2014 school year, doing so will be mandatory, and districts will make decisions about compensation, tenure and layoffs based on the results. Some universities are having a harder time placing their students because teachers don’t want their evaluations affected by the potential mistakes of a rookie. It’s official. The job satisfaction of American teachers has dropped to the lowest point in decades.,,According to the 2012 MetLife Survey of the American Teacher, about a third of our public school teachers are considering a job change. Does this surprise anyone who is familiar with what’s been happening to public schools since A Nation at Risk? Yes, teacher morale is lower than it’s been in decades. *transformers – In her book, Reign of Error: The Hoax of the Privatization Movement and the Danger to America’s Public Schools Diane Ravitch wrote that privatizers and so-called “reformers” don’t actually want to “reform” public education but to “transform it into an entrepreneurial sector of the economy.” She said that corporate executives “believe in transformative change and disruptive innovation” which might work for business (though that is debatable) but not for education. The “reformers,” politicians, pundits and policy makers who seem hell-bent on destroying America’s public schools are “transformers” not reformers. All who envision a more just, progressive and fair society cannot ignore the battle for our nation’s educational future. Principals fighting for better schools, teachers fighting for better classrooms, students fighting for greater opportunities, parents fighting for a future worthy of their child’s promise: their fight is our fight. We must all join in. 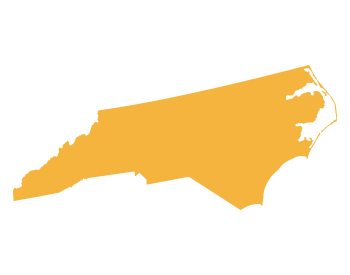 North Carolina has joined Indiana and other states in punishing third graders who have difficulty reading by retention in grade. States, just as individual teachers, schools, and school systems continue to use retention as a remediation policy even in the face of overwhelming evidence that it just doesn’t work. Last September I wrote about the false dichotomy of Retention vs. Social Promotion. It’s time to repost that again. Teachers, Parents, Administrators, and policy makers all denounce social promotion. Many will claim that retention is the only option left when students can’t or won’t perform. Are those the only two options? In today’s world of low budget schools, large classes, overtested students and overworked teachers it’s unrealistic to believe that an average school system would have the money to choose a different path. However, that’s what it would take if we were serious about student achievement. Students who are retained are most often males, low-income, and minorities. The main deficit for students who are retained is reading. Reading is the one skill which needs to be nurtured before a child begins school. That’s why good preschool programs are so important for low-income children. Good preschool programs cost money. The fact is that as a nation, we don’t really care about student achievement. We care about test scores. If we really cared about student achievement we wouldn’t be closing schools whose students are struggling. We wouldn’t be evaluating teachers using test scores and punishing those teachers who work with the most difficult to educate students. We wouldn’t be rewarding “successful” schools with more funding, and we wouldn’t be replacing experienced educators with trainees. We would be investing more in the education of students who need the most help. We would be providing incentives for our most gifted educators to teach in the most difficult situations. We would be focused on the root causes of lower achievement — poverty and societal neglect. Promotion or retention with additional instruction is more effective than either policy alone. The issue is not what to adapt but how to provide appropriate instruction given student diversity. Future research should denote attention to locating, developing, and evaluating effective organizational responses to differences in student abilities and competencies. Utilizing the concept of “schools within a school,” have teams of teachers, who hold students to high educational standards and communicate the belief that all can succeed, while engaging all students in challenging, meaningful activities that range from authentic problems to explore real-world issues. Also, relating classroom activities to students’ culture, knowledge and experience are recommended as viable, instructional alternatives to retention. Tutorial (i.e., peer, cross-age, and adult), extended “basic skills,” cooperative learning, extended year programs, multi-grade groupings, and individualized instruction through technology are additional alternative approaches recommended from the research. Remedial help, before-and after-school programs, summer school, instructional aides to work with target children in regular classrooms, and individualized education plans can provide the support for students being promoted but still needing to improve academically. Recruiting parents, university students, and community volunteers to work with students having difficulties is still an important source of support. Parent involvement continues to be needed for the success of all students. Base eligibility for promotion on multiple measures rather than on a single test; develop measures of achievement that measure what is actually taught in class. Avoid the tendency to teach only “the basic,” instead, provide a varied and challenging curriculum. Include the average child while attempting to raise the level of the low achiever so that higher promotional standards mean higher achievement for all students. Support a curriculum philosophy that is designed to meet the needs of the child. Alternative placement programs should be considered for the over-aged middle school students to provide an instructional program and a support system based on acceleration rather than remediation. Teachers and administrators should consistently resist parental and societal pressures to increase the academic demand of the curriculum to developmentally inappropriate levels, and resist enrollment, retention, and placement practices that are based on a single developmental or screening measure. Implement pre-service and in-service training programs for teachers and administrators, emphasizing strategies that provide students additional time and individualized attention. Early and intense intervention works better than retention or social promotion. Panelists and audience members voiced frustration with a state budget passed this week, which cuts money for teacher assistants and instructional supplies, ends tenure and shifts money to private-school vouchers. 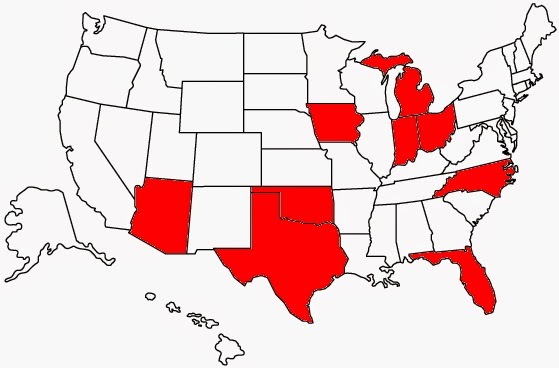 The Read to Achieve law requires third graders who score at Level 1 or 2 in reading on the third grade EOG be retained and not promoted to the fourth grade. However, students can receive a good cause exemption by showing proficiency on a Read to Achieve test (given after the EOG) or through a completed reading portfolio. If your child scores a Level 1 or 2 on the EOG and does not qualify for a good cause exemption, then the school will notify you in writing that your child must achieve proficiency before being promoted to the fourth grade. In addition, some students with an IEP who are being taught on alternate academic achievement standards, some limited English proficient students, and students who have been retained more than once before third grade also can receive a good cause exemption. If a parent chooses not to send her child to summer camp, that student must repeat the third grade. But for those students who do attend summer camps but don’t successfully pass, they will be placed into a hybrid third/fourth grade classroom in the fall, in which classroom instruction will be designed to meet fourth grade standards but non-proficient readers will continue to receive remediation. Students who do not pass the second time may be retained in 3rd grade. For too long the argument has focused on two bad approaches to solving the problem of low student achievement and neither of them improve children’s learning. On the other hand we do know what works. We do know how to keep many at-risk children from failing. Unfortunately, we don’t want (or can’t afford) to invest the money, time or resources to get it done. What works in school is early and intensive remediation. Florida: Does Retention (repeating a grade) Help Struggling Learners? Conclusion: No. There are sufficient data to conclude that retention in the absence of well-funded, guaranteed, and high-dosage interventions is ineffective or harmful. This includes the most recent research using the most rigorous methods to control for pre-retention differences. This kind of “you must pass the test to be promoted” policy comes into vogue periodically. Ohio tried to enact one in 1997, but it was eventually watered down and has had little effect on improving Ohio students’ performance. Arizona officials estimate that 1,500 third-graders are at risk of not being promoted at the end of this school year because they won’t meet new reading requirements. Move On When Reading, a law passed in 2010 that goes into effect this year, mandates that schools hold back third-graders who score in the lowest category of the reading portion of the Arizona Instrument to Measure Standards, known as AIMS. Under the proposed rules, parents of a struggling reader in third grade would have the choice of enrolling the pupil in an intensive summer reading program. 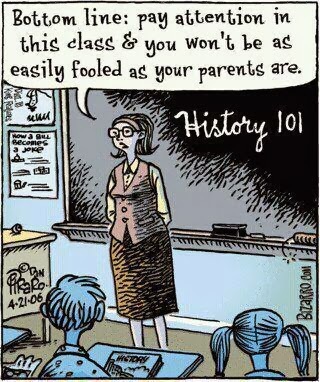 If the parents refuse summer school, the child would be held back. The board plans to cast a final vote to accept these rules early this year. As a middle school teacher who’s attended dozens of retention meetings, this is my observation: most retentions of older children aren’t based on inherent academic weakness. 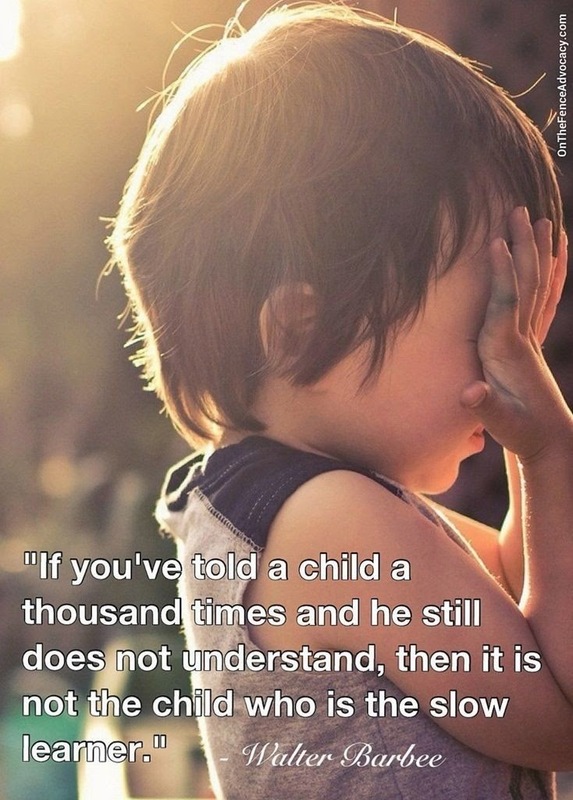 They happen because kids have checked out, stopped trying. Failing a grade is used as both threat and punishment. Although it’s rare, there are cases where retention is the right decision. But that call should be made by teachers and parents, not at the statehouse. …what is in the best interest of children is not always incorporated into good teaching practice or even good public policy. Note that, even with evidence of an adverse impact on public school students, Texas’ testing practices were incorporated into the national education plan, No Child Left Behind, which was signed into law in 2002. Furthermore, Texas policymakers have recently considered expanding test-retention policies to include 13 standardized end-of-course exams. In their proposals, regardless of the student’s grade in the subject area, he or she would have to pass the end-of-course test or fail the class (Cortez and Romero, 2005). This month third grade students in Indiana have had their instruction interrupted so that they could take the ISTEP Applied Skills tests, and the Indiana IREAD-3 test. Next month the second part of the ISTEP will be administered (testing window: April 28 through May 13). Add another 25 hours for test prep. This would be test strategies, getting familiar with the format but primarily a huge chunk of review for the tests or trying to quickly cover a topic in case it’s on the test but we have not had the chance to teach it yet. That’s about 100 hours devoted to testing or test prep…and doesn’t include what I would consider to be appropriate classroom assessments such as reading comprehension tests, math quizzes, spelling tests, and content area chapter tests. The school day for elementary students in our district is about 6 3/4 hours. That’s been extended now in order to make up for over a dozen snow days this year, but I’ll use 6 3/4 hours as the length of an elementary student’s school day in our school system. Subtract about 45 minutes for lunch and recess…another half hour for art, music or PE each day…plus time for announcements, the pledge and a moment of silence, walking in the hallways to and from lunch and other transitions, ending instruction in time to get ready to go places like a special area class or at the end of the day dismissal and we’re at about 5 hours as the length of an instructional day. A simple division problem converts those approximately 100 hours devoted to testing into about 20 instructional days. So, about 20 school days — nearly 3 weeks of instructional time — is devoted to testing and test preparation in third grade. The length of the school day varies of course depending on the school — secondary students have a longer school day, but they also have more and longer standardized tests to take. That’s more than a full academic year of testing and test related activities by the time a student graduates from high school. What is the purpose of all that testing? Achievement tests are primarily used to determine how much of a particular curriculum students have learned (criterion-referenced tests) or how students compare to other students who have taken the same test (norm-referenced tests). Both types of tests have limitations. Neither type of test can test the entire curriculum. There are aspects of student learning that cannot be tested, like perseverance, excitement, leadership, reliability and a sense of wonder. Neither type of test is value free, which means that some students will miss test items because they are members of a particular cultural, ethnic or socio-economic group. The scoring of multiple test items is objective, however, the quality of the questions determines whether or not a test is free from bias. Even when test scorers use rubrics, there is some subjectivity involved in scoring short answer or essay questions. For a good summary of the problems with standardized tests see What’s Wrong With Standardized Tests? by The National Center for Fair and Open Testing. 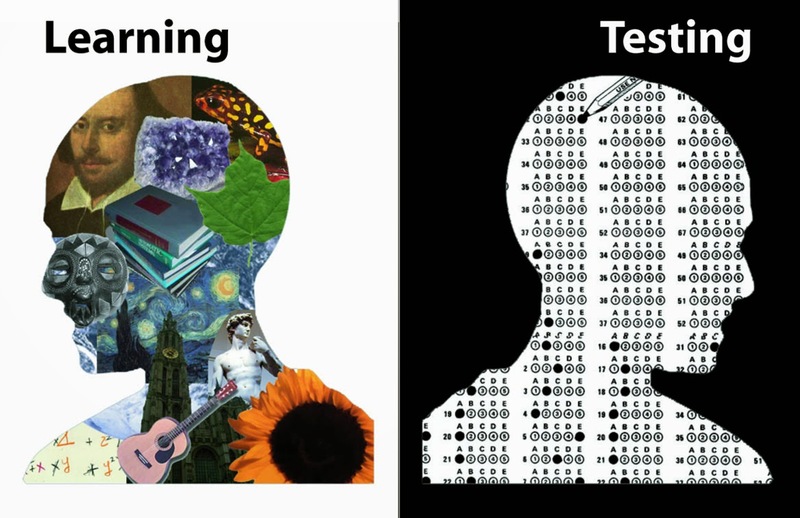 In addition, standardized tests measure only a small part of what goes into a student’s learning. Out-of-school factors weigh heavily on student achievement. Things like low birth weight, adequate medical and dental care, food insecurity, environmental pollution, and family stresses can affect student achievement. Teachers matter, of course, but there is a much larger impact on achievement from outside the classroom. Standardized tests, then, don’t measure everything that goes on in a classroom…nor do they measure only what goes on in a classroom. In Indiana test scores are used for more than simply measuring achievement. All these uses of student test scores are inappropriate. The tests were developed to measure student achievement and, while they don’t even do that well, that is all they should be used for. They should not be used to measure teacher and school effectiveness, or to deny promotion or graduation of students. providing funding appropriate to the needs of the students. High stakes testing is harmful to schools and students. Tests are being misused to the point of child (and public education) abuse. And last night I read that Indiana is going to add another layer of testing for the 2014-2015 school year. Students will take both the state’s current test, the ISTEP+, and a new test called the College- and Career-Readiness Transition Assessment, or CCRTA, in spring 2015. 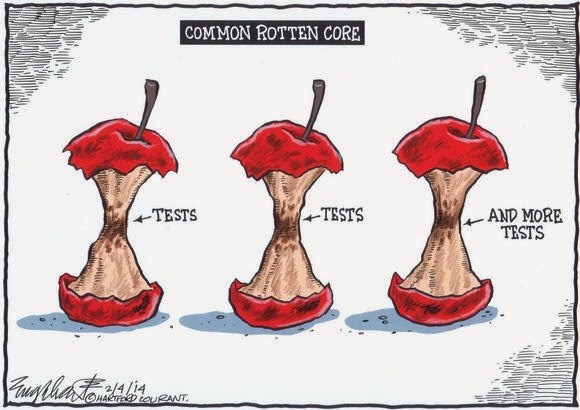 Two tests are necessary because of the ongoing dispute over the Common Core. Eager to exit the national initiative to share academic standards, Indiana lawmakers have directed education officials to administer the ISTEP+ next year. But Indiana also promised the U.S. Department of Education it would give a test assessing college- and career-readiness at the end of the 2014-15 school year. How much more instructional time is going to be wasted when CCRTA is added to the already excessive list of tests? 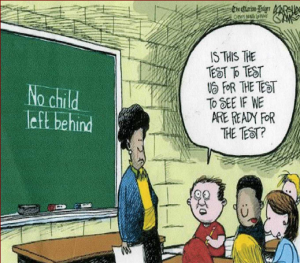 How much more learning time is going to be lost to the excessive, obsessive, and abusive use of standardized tests? 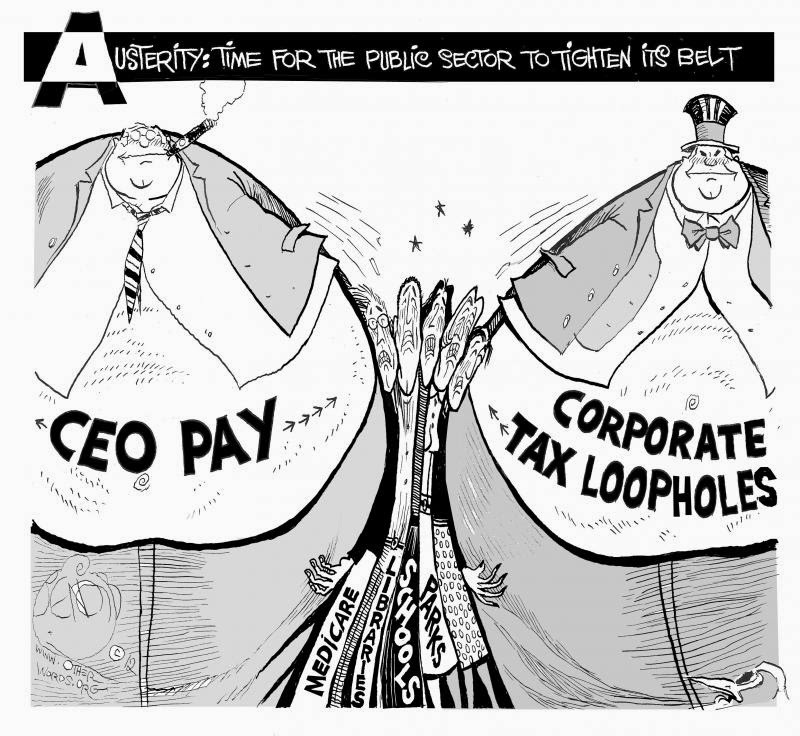 United Opt Out: The Movement to End Corporate Education Reform. Here are some graphic images from around the net — plus my own 2 cents worth of comments. Click on any image to see the full sized version. The Common Core State Standards – Standards we didn’t need, which require that billions of tax dollars are spent on replacements for tests which are misused, in order to give those dollars to test-prep and test publishers who (along with billionaires who don’t know anything about education) donate money to politicians (who also don’t know anything about education) who then pass laws about education, including the adoption of new standards. U.S. Students from low-poverty schools score very high on international tests. Nearly one-fourth of our children live in poverty. The problem is not “failing schools” or “bad teachers.” The problem is that in our society the children of the poor are not valued. We’re one of only three OECD nations who spend less money on our students in poverty. The “education crisis” is really a crisis in poverty and greed. The same is true for test scores…we keep making public education more and more test focused, yet the test scores don’t go up. Maybe it’s time to end our test obsession and try something else…like helping teachers teach, reducing poverty, and increasing support and resources to public schools. Mother Jones has a corporate seating chart for congress, showing who the members took money from to get elected. They also have a list of Capitol Hill’s top 75 corporate sponsors over the last 25 years. If private corporations are already controlling the government by buying elections does that mean that there is no public sector any more? What Would Gates or Duncan Do? I’d love to see how Arne Duncan or Bill Gates would do in front of a Kindergarten class or Middle School class for a year, but that wouldn’t be fair to the students. Neither Duncan nor Gates have the slightest idea what teaching a class of students really entails. Here’s the formula used for evaluating teachers in New York State. What happens if you don’t teach a tested grade or subject? In some places your evaluation is based on the success of how students do in other grades or classes. Some places are threatening to add tests for every grade/subject. 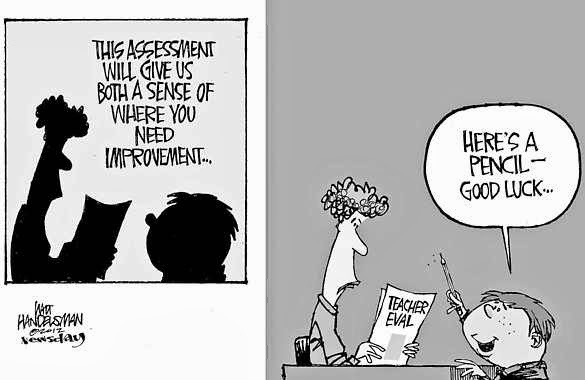 The current wave of teacher evaluation schemes seems to be the same sort of process. “Reformers,” legislators, and other policy makers, convinced that “the problem” with public schools is bad teachers, have latched on to a quick and easy way to evaluate educators and schools — use student test scores. The fact that test scores are invalid for evaluating teachers doesn’t seem to matter. Using student test scores is the DIBELS of teacher evaluation techniques…it’s quick…it’s easy…and it provides a number with which to make a judgement — albeit an inaccurate one. Misusing standardized test results displays the ignorance of those who make laws about education. What teacher is going to want to continue teaching difficult to educate students when they know that they will be blamed for their students’ failures to overcome disabilities or the effects of poverty? This sort of legislative malpractice is guaranteed to demoralize hard working teachers and their students. Faced with the reality that a) nobody, not even “experts,” has discovered a surefire method for improving student test scores and b) this affects teachers’ livelihoods; many teachers in low-income schools will be delivered a strong incentive to find a more affluent school to teach in if they want to continue in this profession. And take it from me – someone who’s worked in inner-city DC and the South Bronx – most of the people who work in these kinds of schools in 2014 are among the most dedicated people you could ever hope to work with. First, I don’t have anything against teachers who work in charter or private schools. Good teachers need jobs, and the students who attend all schools, public, private or corporate, deserve to have good teachers. Second, I don’t have any problem with private schools. They provide an important service. What I object to is reducing the tax revenue needed for public schools and giving it to private and privately run schools. Public schools are a public responsibility and should be fully funded with tax money. Private schools should be supported by those who use them — especially since the vast majority of private schools that receive public funds (aka vouchers) are religious schools. I enjoyed this article in which a charter school advocate discusses the research showing that vouchers don’t work. I agree…vouchers are a theft of public funds diverted to private corporations or religious institutions, However, you can read similar research on charter schools here and here . Charters aren’t any better than public schools (corporate-run charters may take public dollars but they are not public schools) even though they find ways to reduce the number of difficult to educate students they enroll. School choice is about giving parents the opportunity to select the best education for their children from a variety of options. But choice itself isn’t enough. To truly be worthy of public investment, school choice programs should also improve academic outcomes for the target population. When the evidence suggests that a particular approach doesn’t improve academic outcomes we need to think very carefully before adopting it. …what does the evidence say about the impact of vouchers on student outcomes? To date we’ve seen little to no positive demonstrated impact on student achievement from these programs. Julian Vasquez Heilig reports on charter schools…no better than public schools. The reports from some of these corporate charters of 100 percent graduation rates and 100 percent of students attending college seem too good to be true. They are. A closer look shows they come at a cost. For example, KIPP has posited it serves mostly low-income and minority students and still gets better results than public schools. What they don’t brag about are the high attrition rates that cull their classes to the most high-achieving students. A nationwide study of KIPP by researchers at Western Michigan University criticized the high attrition rates —about 40 percent for African-American males — and the fact that they serve few students learning English or with disabilities. KIPP also spent around “$18,500 per pupil in 2007-08, about $6,500 more per student than the average for other schools in the same districts,” according to Education Week. Same story with BASIS. At the original campus of BASIS charter school in Tucson, Ariz., the class of 2012 had 97 students when they were sixth-graders. By their senior year, the number had dwindled to 33, a 66 percent drop. Families churned out of such charters end up back at their neighborhood public schools, which welcome them, regardless of race, class or level of ability. Myth 7: Charter schools make all schools better. Do charter schools really make all schools better? Up until now, the only effect the charter school movement has had on traditional public schools has been on the latter’s marketing budget. While exposing her for the charlatan she is, this article is, IMHO, too kind to Michelle Rhee. The woman is a menace to public schools, public school educators, and public school students everywhere. Rhee graduated from Cornell University in 1992 with a degree in government and later obtained a master’s in public policy from Harvard, neither of which really suggested a future in education. In reality, vouchers are usually just an excuse to weaken public schools and redistribute some of their money to religious organizations. They don’t improve educational outcomes nor are they a solution to existing problems with public schools. Though it mentions her name in the title, this article is not actually about Michelle Rhee, other than she is a strong proponent of the “test and punish” method of destroying public education. ADHD is a real neurological disorder, but in the past it’s been over diagnosed by lazy and/or poorly informed doctors, and schools trying to control the behavior of students. It’s also been under diagnosed. 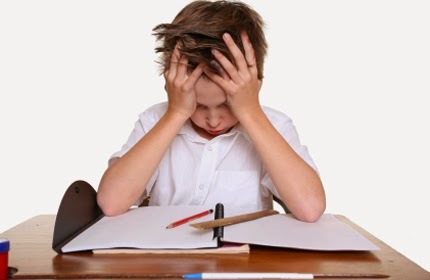 An accurate diagnosis must include proof that ADHD behavior, which many children and adults exhibit in varying degrees, impairs functioning in more than one area. In other words, a child showing hyperactive behaviors which do not interfere with his successful life functioning does not warrant an ADHD diagnosis. 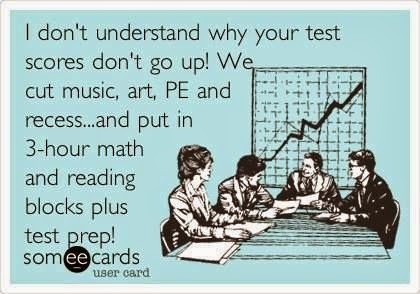 That being said, the overuse, misuse and abuse of standardized tests has been responsible for desperate parents and teachers searching for a way to improve test scores. Unfortunately, some doctors have gone along and provided the medical diagnosis for ADHD where none exists. There has been a lot of public agonizing lately about the steep rise in diagnoses of ADHD over the last two decades. There is growing, and justifiable, worry that a lot of kids are being put on stimulant medications who don’t need them. What there hasn’t been is a plausible theory about what’s driving this explosion of diagnoses — 40 percent over the last decade and more than 50 percent over 25 years. The CDC now estimates that 12 percent of school age kids, and as many as 20 percent of teenage boys have been diagnosed with ADHD. Blame has been directed at parents, for being so poor at discipline that they reach for a pill to make unruly kids settle down. Teachers are blamed for being so inept at maintaining order that they want students medicated into submission. Psychiatrists are blamed for being the pawns of drug companies peddling ADHD meds. But blaming doesn’t explain it. It’s not credible that an increase of this magnitude comes from individual parents, teachers and doctors suddenly pathologizing ordinary child and adolescent behavior. In my experience, most parents are quite reluctant to put their kids on psychotropic medication unless they’re in serious distress. Yes, let’s drop the SAT essay. While we’re at it, let’s drop the SAT. The best line from this letter by Stephen Krashen is the title. There is no point in testing writing form, i.e. the use of conventional writing style, grammatical accuracy. Research consistently tells us that writing form comes from reading, not from writing and not from study. Writing itself is a powerful tool for solving problems and making yourself smarter. This requires mastery of the composing process (e.g. knowing that as you revise you come up with better ideas). This cannot be tested. Research also tells us that high school grades are a good predictor of college success. Adding a standardized test does not improve the prediction. So there is no point in having the SAT. The Indiana governor and legislature continue to attack public schools. In the past few years the governors and legislators have behaved like termites eating away at the foundation of public education. Indiana has enacted a cap on property taxes, a reduction of education funding, a redirecting of funds to private and charter schools, and a redirecting of funds towards more and more testing. The latest tax reduction which will reduce needed funds to public schools is just the latest in a long line of moves meant to further weaken the foundation of public education. When there is no money to provide the services required, the privatizers will claim that the public schools have failed. Governor Pence wanted to help businesses, and he didn’t mind doing that at the expense of revenues for schools, libraries and local government. He worked hard to make this happen in a sometimes reluctant legislature. Now that they have followed his lead, at least $2 million per year in school property tax revenue is at risk, just at the time when the great competition between public and private schools for the hearts and minds of parents is revving up, a competition created by the voucher program passed by the General Assembly in 2011 and expanded with Governor Pence’s strong support in 2013.
Who is the #1 Enemy of Public Education? Policies coming out of Washington D.C., and in many state capitols, are demoralizing teachers, undermining the traditional role and governance of boards of education, de-professionalizing the teaching profession, re-segregating American communities and reducing the traditional dynamic of learning to a testing obsession. Many chief state school officers in recent years are moles of the privatizers or lack the conviction to fight for the public common school system. Hence, state legislatures and governors, in many cases, receive no resistance to their privatization agenda. Often local public school personnel, including boards of education, feel helpless to stem the tide of public school bashing and the privatization movement. Enough is enough. It is past time to hold all state officials accountable for their support of policies that lead to the privatization of public education. Ohioans and the citizens of the nation, when mobilized, can uproot the anti-public education agenda of America’s oligarchs and their plutocratic political allies. TM: I’ve read this article several times, and I just don’t get it. What’s his point? That he doesn’t like testing? That he doesn’t like to be evaluated? What’s his alternative? I’m a former musician and while I don’t play musical instruments any longer, I still think of myself as a musician at heart. 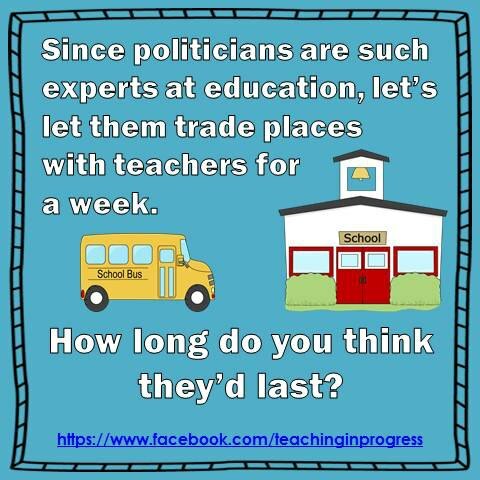 I’m a retired teacher…and for me that means that I’m not employed by a local school system any longer. I still teach a few hours a week as a volunteer at a local elementary school, but I’m no longer earning a living at it. Because of that, I still think of myself as a teacher. But I’m not a professional writer. So maybe TM doesn’t “get it” because my post was written poorly. I can accept that. I’ll be the first to admit that my punctuation isn’t always correct…that my wording isn’t always clear…that words are sometimes misspelled…and that I’m more than a bit verbose. 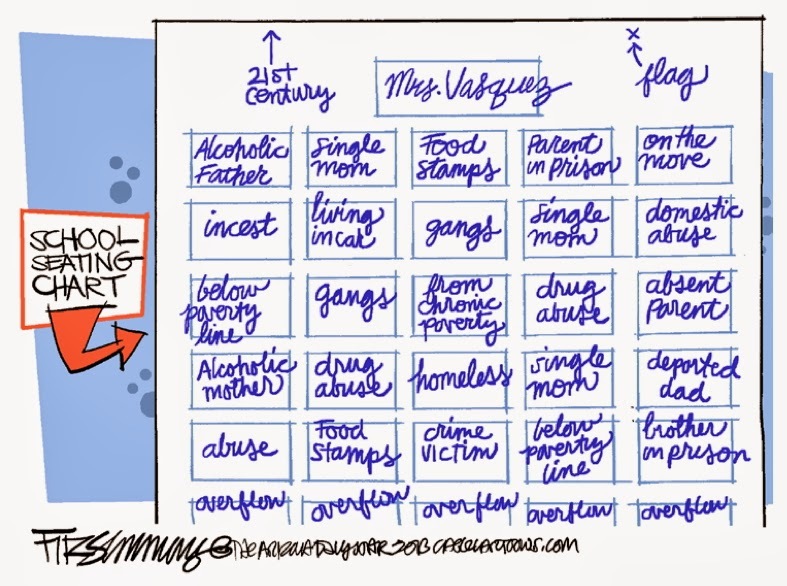 The problem we have in this country with testing today is that, number 1 — we’re using the wrong kinds of tests, and number 2 — we’re using the tests in the wrong kinds of ways. 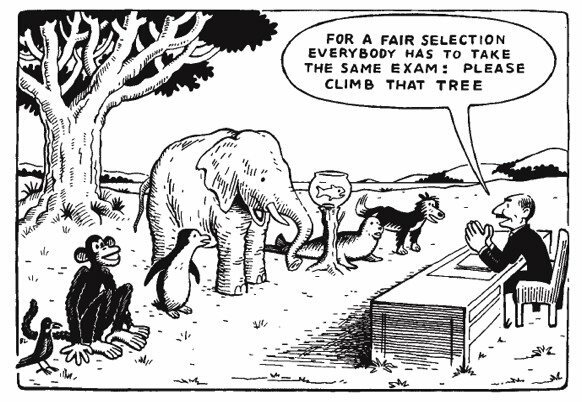 That’s a great summary statement of what’s wrong with the standardized testing mania in the U.S. today. So, to TM, I answer — I’m not against testing. I don’t hate testing. Teachers use testing all the time. What I’m against is the incorrect and inappropriate use of testing. Teachers use tests to see if our lessons are effective and if students are learning. Standardized tests were developed to be diagnostic, but that original and somewhat legitimate use has been perverted beyond all recognition. Standardized tests are now used to determine curriculum, rank and retain students, grade and punish schools, and evaluate educators. Tests should not be used for things that they weren’t intended for. As someone once said, that’s like measuring temperature with a teaspoon. There are so many more issues with testing in the U.S. public schools and I really don’t want to go into all of them in this post. There’s a reason that the topic cloud in the right-hand column of this blog shows that there are nearly 200 posts about testing. I would suggest that you read some of those if you want a deeper understanding of my objections to the way testing is used. Click the link below. I was paid to teach for 35 years. During that time I was evaluated at least a dozen times. I also served on evaluation committees consisting of teachers and administrators. We worked on developing good evaluation tools for evaluating teachers’ performance. Since I’m a teacher I understand that constructive feedback is important for all learners (and teachers are or ought to be life-long learners). The best evaluations I had were those in which my performance as a teacher was analyzed and evaluated by someone (most often a principal) who understood the act of teaching. The best evaluations were not criticism free, (and not all my evaluations were stellar) but they were filled with comments which made me aware of how I came across as a teacher and how I could improve. So, again, to TM, — Evaluation helped me grow as an educator…it wasn’t simply a grade on a page. Good evaluations were detailed and substantive…with suggestions and analysis. 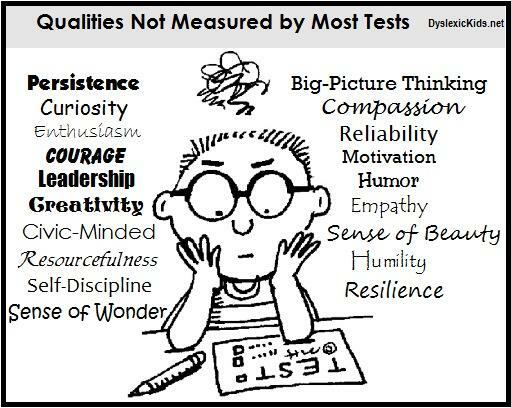 Furthermore, standardized test scores are influenced by much more than what goes on in the classroom. There are out of school factors which carry much more weight in the scores of standardized tests than teaching does. The teacher is the most important in-school influence on student learning, but that influence is not as great as are out of school factors. Read Poverty and Potential: Out-of-School Factors and School Success by David C. Berliner, Arizona State University. Using standardized tests to evaluate teachers doesn’t take into consideration all the outside influences which have a greater effect on student achievement than the teacher does. …and no, VAM is not currently a valid way of incorporating outside factors into a teacher’s evaluation. I’m not going to make any assumptions about TM’s motives in asking his questions, however, it’s common for “transformers” (*definition below) to claim that those of us who are against the current test and punish status quo don’t have any alternatives. That’s wrong. What we don’t have is a large enough platform. The “transformers” own the media and the political system. The amount of tax revenue redistributed from public schools to private enterprise through charter schools and vouchers is enormous. 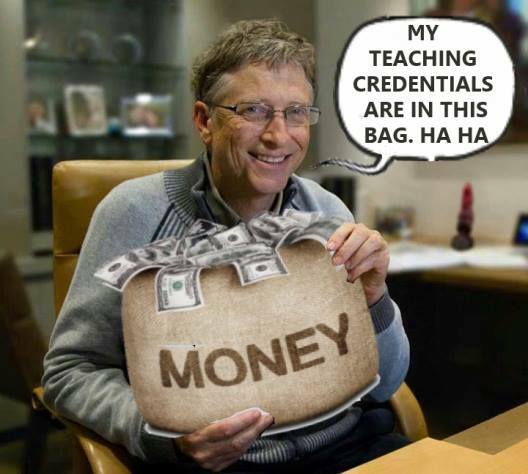 The amount of money dumped into the support and promotion of charters and private schools by private investors like Bill Gates, the Walton Family Foundation, the Broad Foundation and others, is huge compared to the amount of money teachers and supporters of public education have to spend on the defense of public education. The “transformers” pay for privately run schools, they invest in politicians who then do their bidding in the executive offices and legislatures of the states and the nation. Teachers don’t have those kinds of resources. Most of us are too busy trying to keep our heads above water in the classroom. However, let’s just assume that money wasn’t an object and the “transformers” and their minions in state and national government gave me the power to change things. What’s my alternative? So, once more to TM, here’s what I would do to improve education in the U.S. This includes my preferences for testing and evaluation. 1. Lower class sizes…with the lowest class sizes in the schools where students need the most help. We know that class size matters. 2. Children need a well rounded curriculum. The last few years have seen math and reading push out other subjects like social studies, health, physical education and the arts. Those things, as well as libraries, are being pushed out to a greater degree in the lowest performing schools. If they weren’t important then high performing schools, and elite private schools wouldn’t have them as part of their curriculum. Chicago Mayor Rahm Emanuel sends his children to the University of Chicago Lab School — the same school that he and Secretary of Education Arne Duncan attended. Take a look at their fine arts program as an example. 3. Good schools need to provide services to their students. Students who live in poverty (and the U.S. has those in abundance — around 23% of our children) need services to counteract the effects of that poverty. Things like full time social workers, school nurses, counselors, and psychologists are essential. If we’re going to allow almost a quarter of our children to live in poverty then we need to support them in the classroom. 4. Public schools need to provide age-appropriate early childhood education. Children in Kindergarten don’t need to take standardized tests. They need to play, to be read to, to engage in physical activity appropriate to their age. 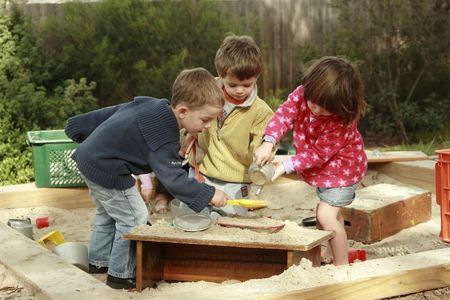 Read about developmentally appropriate educational practices for young children at the National Association for the Education of Young Children. 5. Public schools need to be supported. Right now we are one of only three “advanced” nations who spend more money on our wealthy students than our poor students. Instead, we should be investing more money where it’s needed the most. No more leaky roofs, asbestos-lined bathrooms, or windows that refuse to shut. Students need to be taught in facilities that are well-maintained and show respect for those who work and go to school there. 6. Use tests sparingly and in the manner for which they were developed. You don’t get a blood test to determine if your bone is broken…achievement tests, such as they are, should be used for measuring student achievement. Period. They should not be used to determine student placement. They should not be used to determine the fate of schools. They should not be used to determine the pay of educators. That’s not why they were developed. Additionally, student achievement can be evaluated in other ways. Good teacher observation, documentation of student work, and performance-based assessment, all of which involve the direct evaluation of real learning tasks, provide useful material for teachers, parents, and the public. Many nations that do the best in international comparisons, like Finland, use these techniques instead of large-scale standardized testing. 8. Fully fund Pre-K through 12 education. 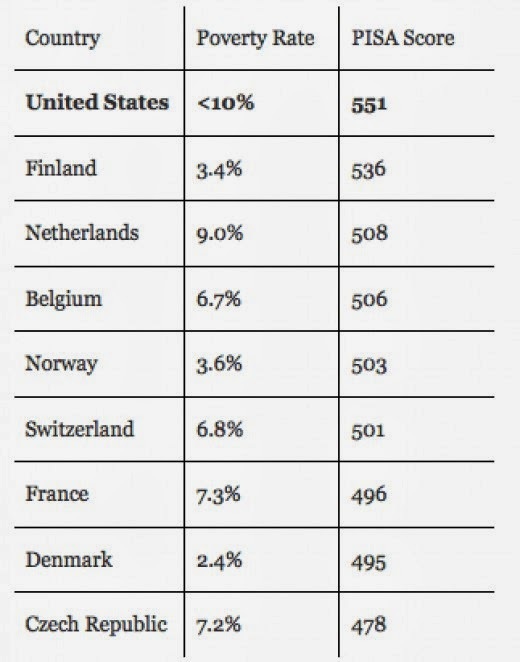 There’s no reason for a nation as wealthy as the U.S. to underfunded schools. Where will the money come from? Eliminate most of the standardized tests and all of the money spent on test-prep. Instead of a competition for funds — with winners and losers — like Race to the Top, distribute the $5 billion federal dollars to schools/school systems based on need. You want more alternatives to obsessive testing and the “transformation” of America’s public schools? 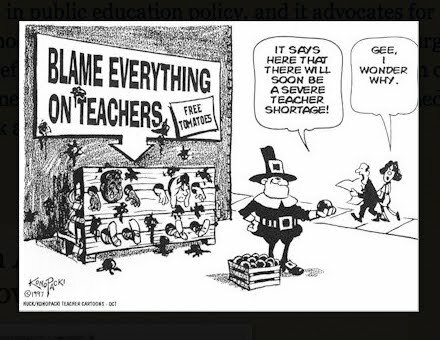 Read chapters 21 through 33 of Reign of Error: The Hoax of the Privatization Movement and the Danger to America’s Public Schools by Diane Ravitch. *transformers – In her book, Reign of Error: The Hoax of the Privatization Movement and the Danger to America’s Public Schools Diane Ravitch says that privatizers and so-called “reformers” don’t actually want to “reform” public education but to “transform it into an entrepreneurial sector of the economy.” She says that corporate executives “believe in transformative change and disruptive innovation” which might work for business (though that is debatable) but not for education. The “reformers,” politicians, pundits and policy makers who seem hell-bent on destroying America’s public schools are “transformers” not reformers. Comments Off on What’s the Alternative? 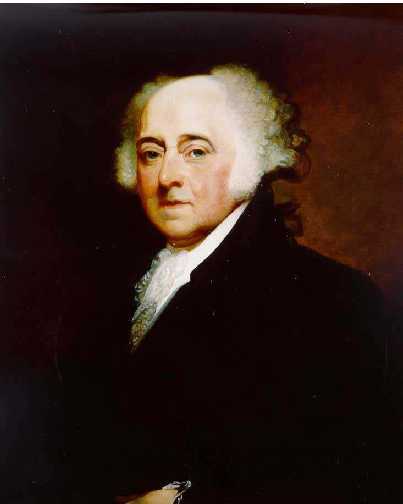 President John Adams was crystal clear in his desire to see a public system of education. The public, he said, was responsible for educating the public. Adams’s political arch-foe, Jefferson, agreed and even tried to set up a system of public schools in Virginia. These two men, along with a good number of their colleagues supported public schools paid for and supported by the public. Education is a public good…something that the public benefits from…an informed citizenry. It was about 60 years later, however, when the nation finally began the process of setting up public schools, paid for by the public, and controlled by the public. Those same public schools, scorned and debased throughout history by sectarians, privatizers, and elitists, helped build the nation. Those same three groups of people have, once again, joined together to dismantle America’s public school systems. The religious right has been trying to do away with the public schools for decades. Today’s privatizers stand with Alexander Hamilton in the belief that the wealthy are superior by virtue of their wealth. Graduates and supporters of elite private schools like Bill Gates, Arne Duncan and Michelle Rhee are co-opting the language of civil rights and claiming that privatization — through vouchers and/or charter schools — will provide true equality of opportunity. The fact that the privatization movement is increasing segregation, and that privately run schools regularly screen out difficult to educate students doesn’t seem to matter to them. 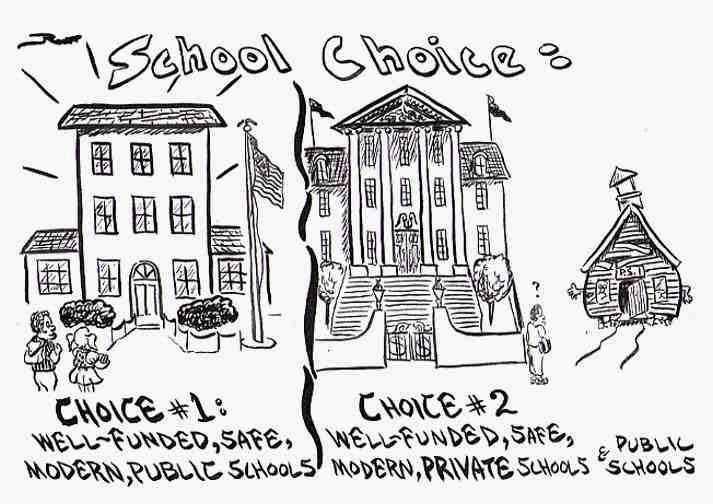 Vouchers are the privatizers’ answer to Brown vs. Board of Education. Vouchers don’t segregate children by race or economic status, they just give all parents a “choice.” The fact that vouchers don’t provide enough money to allow the very poor to attend private schools doesn’t matter. The fact that the vouchers don’t guarantee that the corporate-school-board will accept all students doesn’t matter. The fact that vouchers don’t prevent private schools from dumping hard to educate children back into the now underfunded public school system doesn’t matter. It’s the nation’s — and by extension, the state’s and the community’s — responsibility to raise up an educated populace. It’s good for everyone. That’s why tax money for public schools is so important. Everyone benefits from educated citizens. How do you respond to voucher supporters who claim that they should be allowed to take “their tax money” out of the public school system and use it to send their children to private schools? What good are public schools to people who don’t have any children or whose children have grown? What would happen if citizens withdrew the portion of their tax money used for public libraries because they wanted to buy their own books instead? What would happen if citizens withdrew the portion of their tax money used for fire departments because they had purchased a fire suppressant system? What would happen if citizens withdrew the portion of their tax money used for roads because they didn’t drive a car? What would happen if citizens withdrew the portion of their tax money used for parks because they never used them? What would happen if citizens withdrew the portion of their tax money used for police departments because they hired their own, private security force? The government — local, state and national — is responsible for various aspects of our lives, from safety to clean air to public parks. Public money is spent for these “public goods” because everyone benefits — even those who never use the services. Public education is a public good. An educated citizenry benefits the entire nation. Every state constitution provides for a system of free, public schools because they know that increased education improves the lives of their citizens. Public education benefits all of us…but we, as a people, must choose to support it. Charney’s attitude is unfortunate – and it’s all too common these days. He asserts that he doesn’t get anything from those public school taxes. Mr. Charney, you could not be more wrong. Let me tell you what you get: You get an educated public. You get kids who learn things and go on to contribute to society. You get literacy and numeracy. You get an appreciation for science. You get a school system, subject to local control and in most parts of the country governed by a democratically elected board, which educates 90 percent of our young people. The unwillingness of Americans to pay their fair share of taxes…the unwillingness of Americans to support the public infrastructure of the country…the unwillingness of Americans to pay forward our civilization and our national security…is an indication of our selfishness. The “what’s in it for me” attitude is a selfish sacrifice of our children’s and our nation’s economic future. Dr. Wendy Robinson, Superintendent of Fort Wayne Community Schools, put a privatizer in his place. When you believe that everything should be privatized you assume that everyone is a selfish and greedy as you are. They just can’t believe that public schools help everyone. Enlow responded by noting that food stamp recipients are allowed to choose where they can go to use their assistance. It was more than Robinson could take. When it comes to public policy and public schools, there is a responsibility to go beyond individual concerns and promote what is best for all children. In the long run, establishing two school systems — one public and one private, yet both supported with tax dollars — will only expand the ability of private schools to pick and choose the most desirable students and will only widen the gap between the haves and have-nots. What’s wrong with school ‘choice’? Here’s what. What’s Wrong with School Vouchers? …when one factors in the differences between the socioeconomic backgrounds of students in the two types of schools, the private school advantage disappears. Studies that take this background factor into account have found a public school advantage in achievement. It’s no coincidence that the TV airwaves are stuffed with winner-take-all shows. This is our model for school and society now: enormous windfalls for the winner; frenzied fruitless efforts for the rest. If you’re a child born into a poor household, you’re more likely to exhibit psychological symptoms than if you were born to a non-poor household – symptoms that are a direct result of being born poor…the children from poor families were found to have problems, about 60 percent more than their middle-class counterparts. 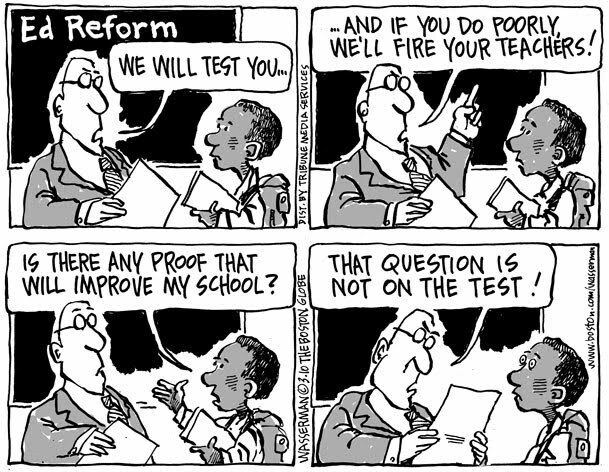 How did the “reformers” convince the nation that student test scores provided an accurate evaluation of their teachers? Here’s a teacher whose students scored so high on the standardized tests that she is labeled a poor teacher because they didn’t improve from one year to the next. If a runner breaks a world record one day, does his coach get blamed if he doesn’t break it again on another day? Telling a teacher, “you’re a failure because your incredibly high achievers haven’t scored even higher” is breathtakingly stupid. …my name will be printed in newspapers and posted online as an inferior teacher in need of serious improvement. Last year, many of my students had had the highest scores on the state tests possible the year prior—a 5 out of 5. That’s how they get in to my class of gifted and high achieving students. Except, last year, they raised the bar so that the same 5th graders who scored 5s in 4th grade were much less likely to earn 5s in math and reading in 5th grade. Some still DID score 5s in math AND reading, yet were still deemed not to have made sufficient progress because they did not score as high within the 5 category as they had the year before. Do developmentally inappropriate educational practices exacerbate ADHD? It doesn’t mean that ADHD isn’t a real thing, with a biological basis. Hinshaw and Scheffler are very clear about that. But it does underscore our worry that misdiagnoses are being handed out by doctors with little time, little training in psychiatric disorders, and a lot of pressure to do something to help kids who are failing. We push down the curriculum and expect kindergarteners to learn what first graders learned a generation ago — and then we blame the children (and their teachers) for not learning. Retention is an ineffective practice, and it’s made even worse when students can’t achieve in a developmentally inappropriate environment.